This piece comes from the Church of St. Francis. The recent restoration has made it possible to attribute the authorship; in fact, until 1994, it seemed that the name “Vincenzo Mossis” could be read on the title block. 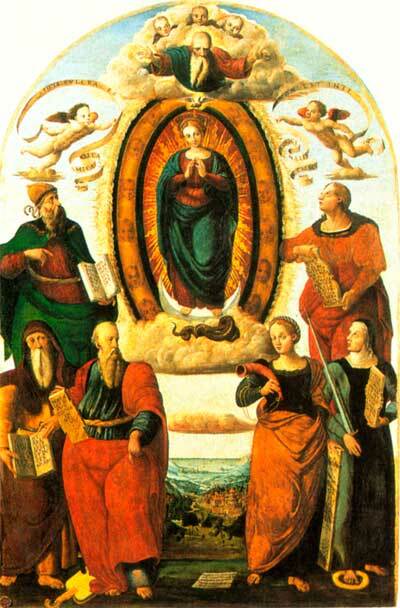 The iconography of the Immaculate Conception, with the Virgin Mary standing on the crescent moon with the snake representing the original sin, was greatly used during the 16th century.